Are you kidding? I love The Smiths. Best breakup band ever. quotes > Movie quotes > Are you kidding? 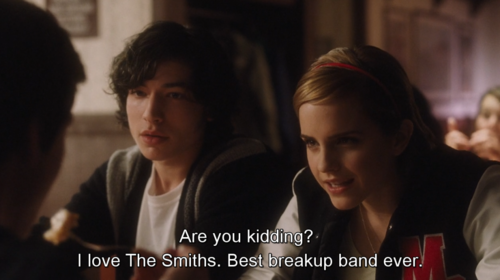 I love The Smiths. Best breakup band ever. You see things, You understand. You’re a wallflower. I really want to turn things around this year. I didn’t think anyone noticed me. I’m both happy and sad. 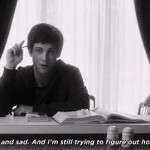 And I’m still tryi8ng to figure out how that could be.